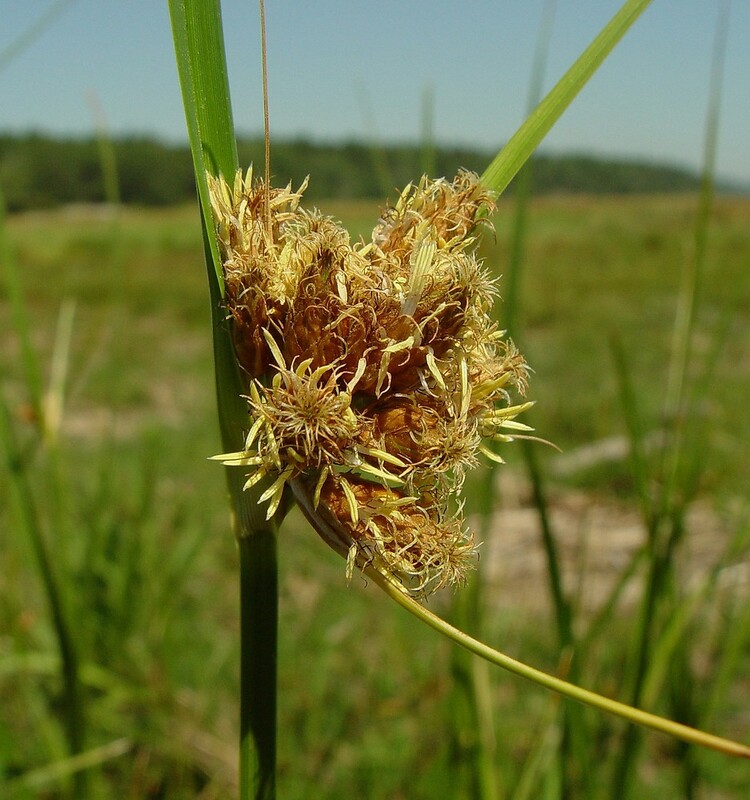 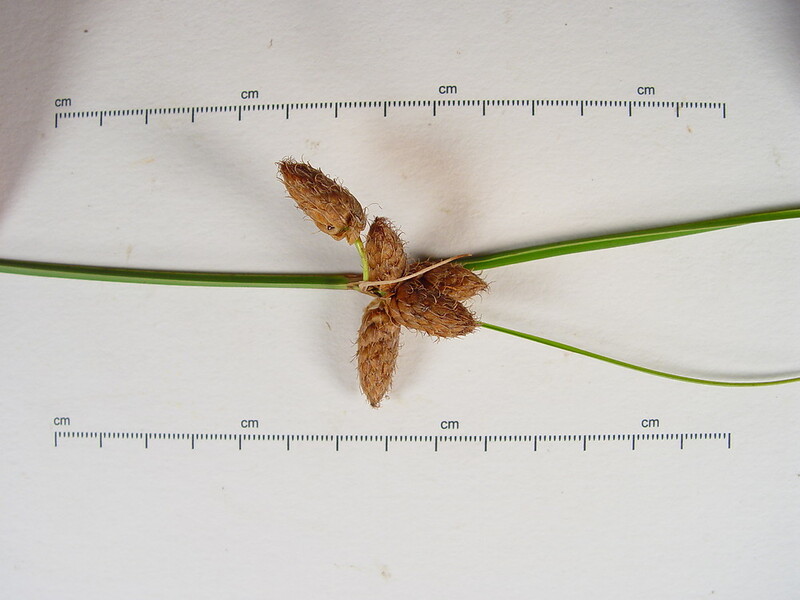 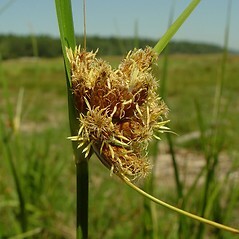 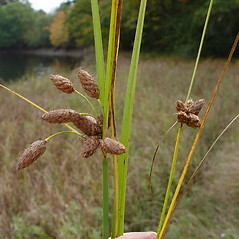 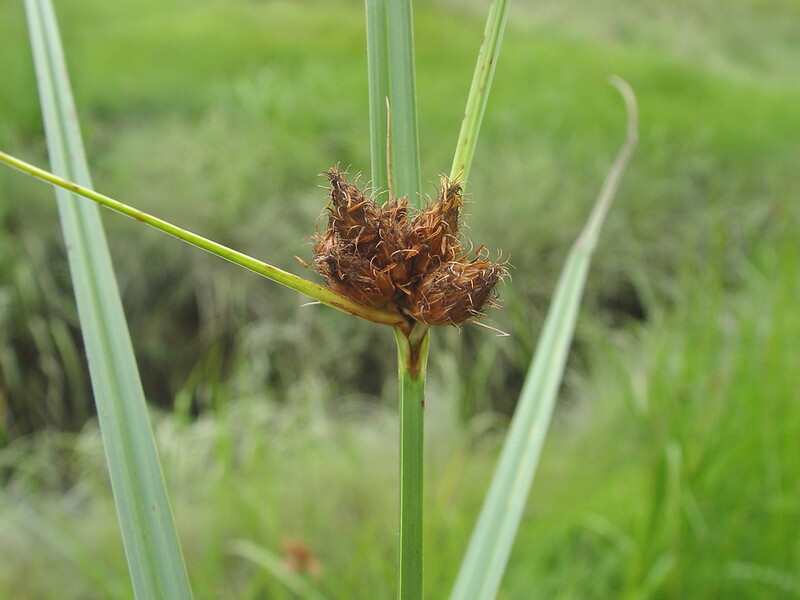 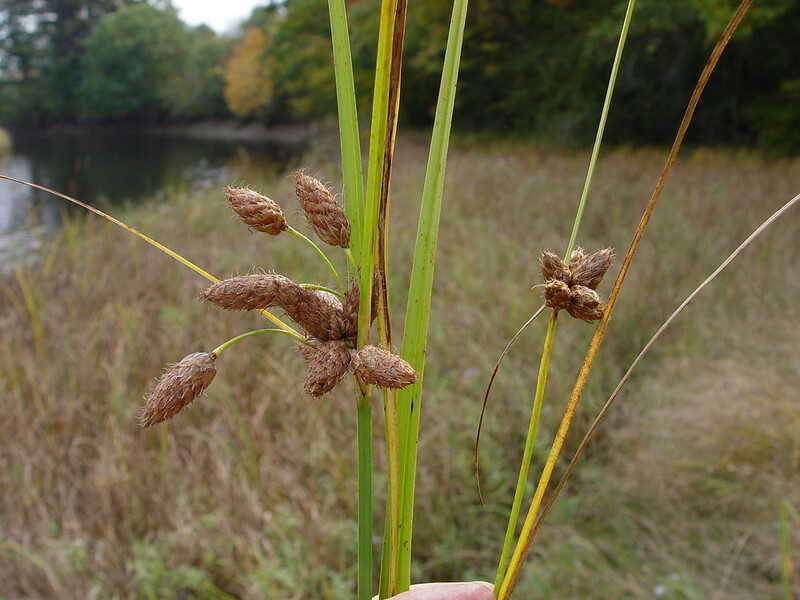 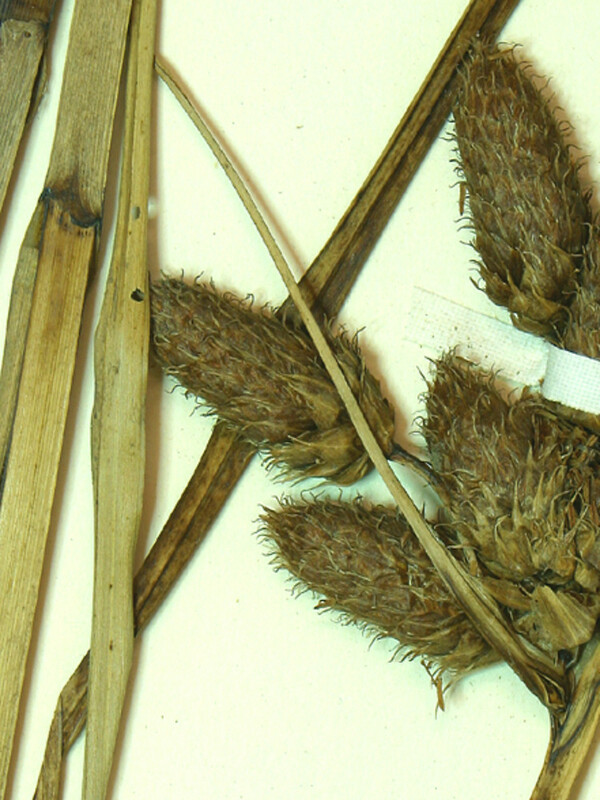 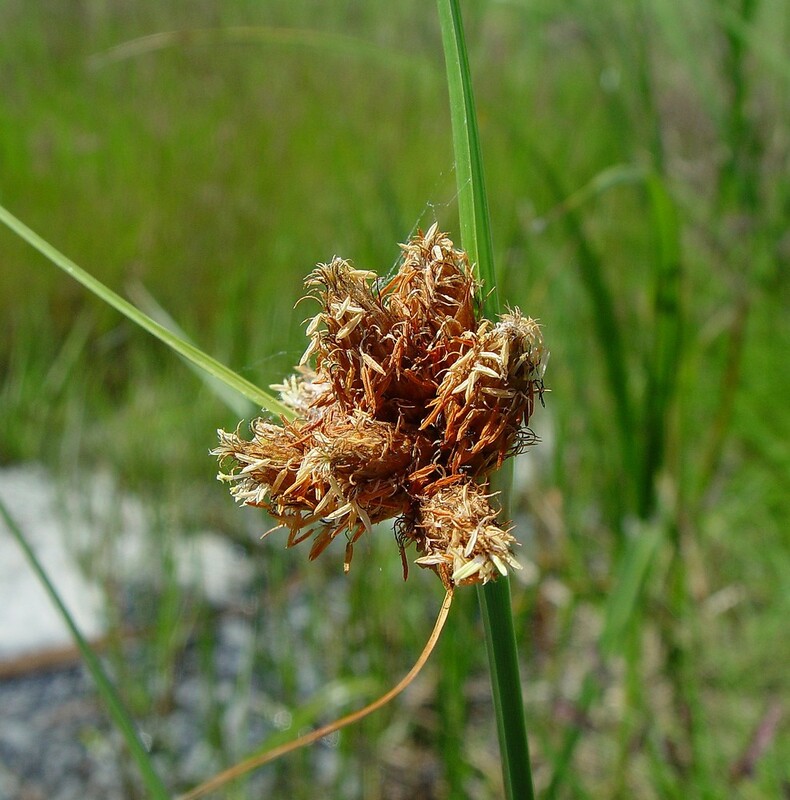 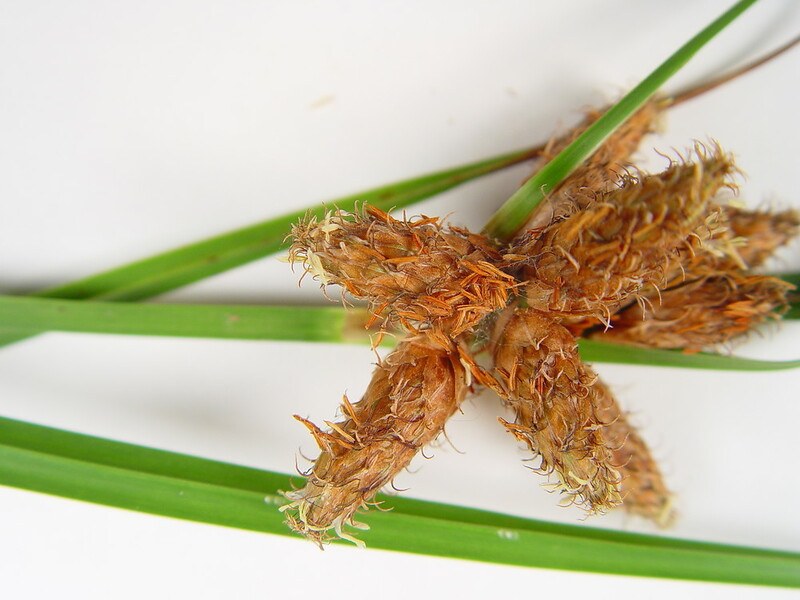 Sea-coast tuber-bulrush is native to brackish and saline coastal shorelines and marshes in New England; it is considered rare in New Hampshire and Vermont. 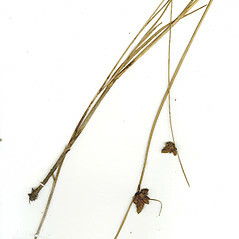 However, this widespread species extends throughout the Atlantic and southeastern states west to Texas and California. 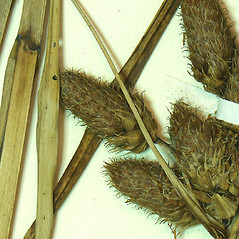 Muskrat and waterfowl, including geese, eat its seeds. 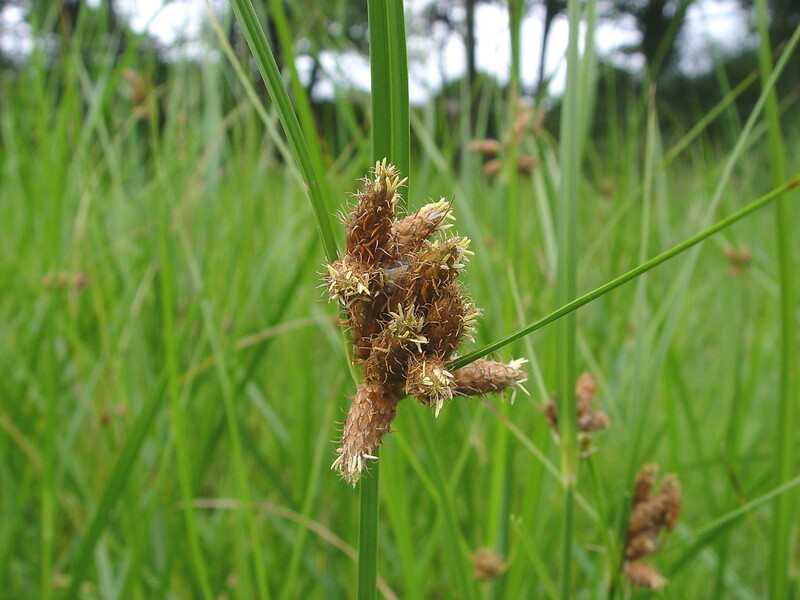 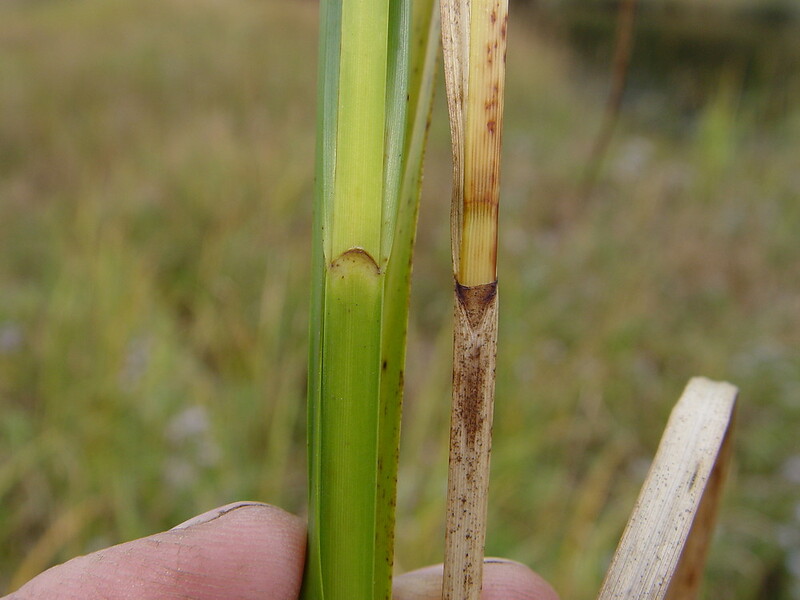 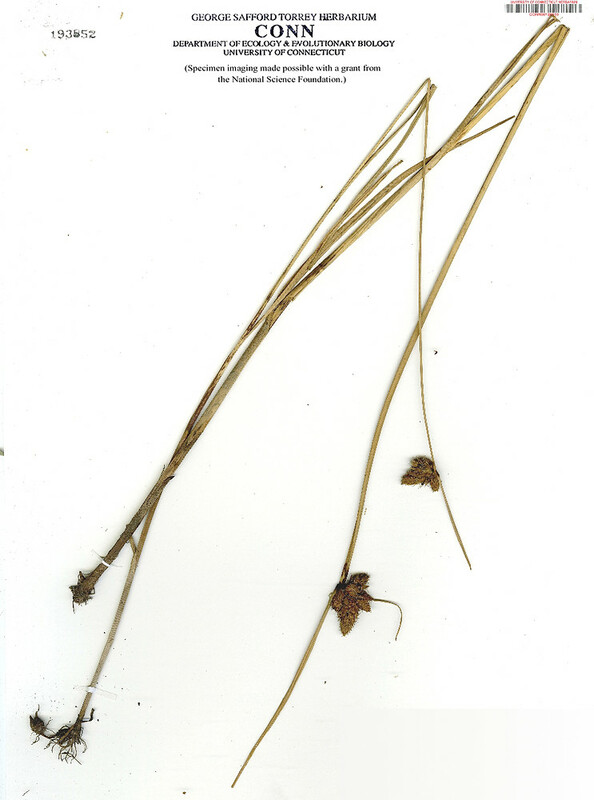 Spreading by rhizomes, this species is a pioneer on exposed muds. It flowers between April and August, and fruits between July and October. 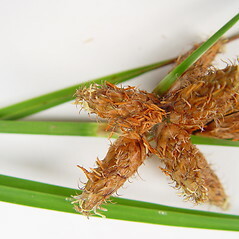 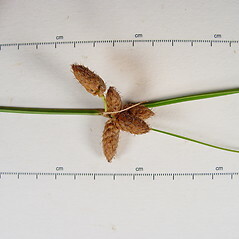 sea-coast tuber-bulrush. 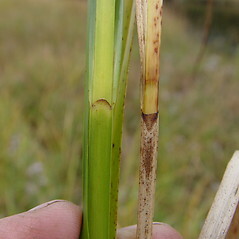 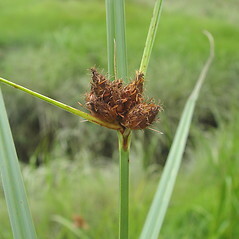 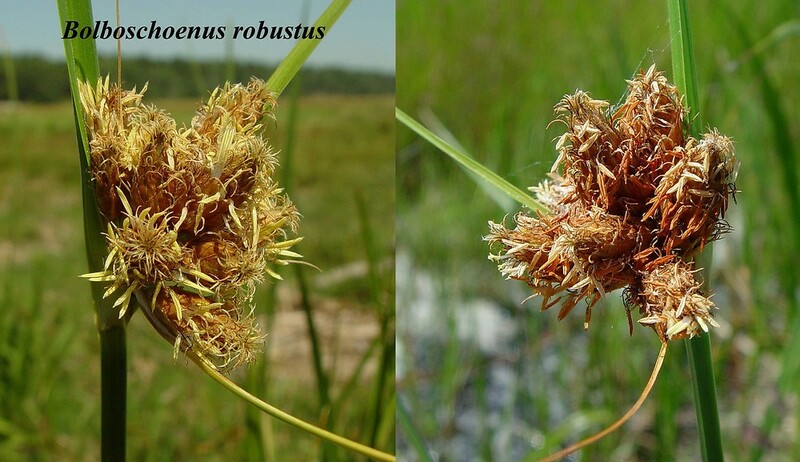 Schoenoplectus robustus (Pursh) M.T. 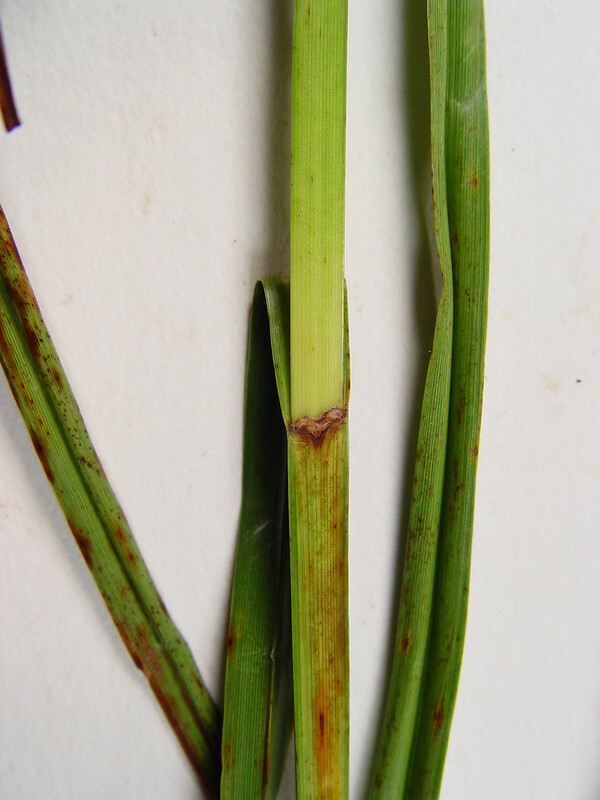 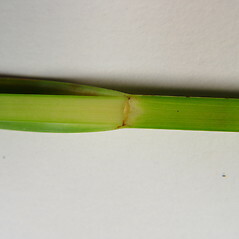 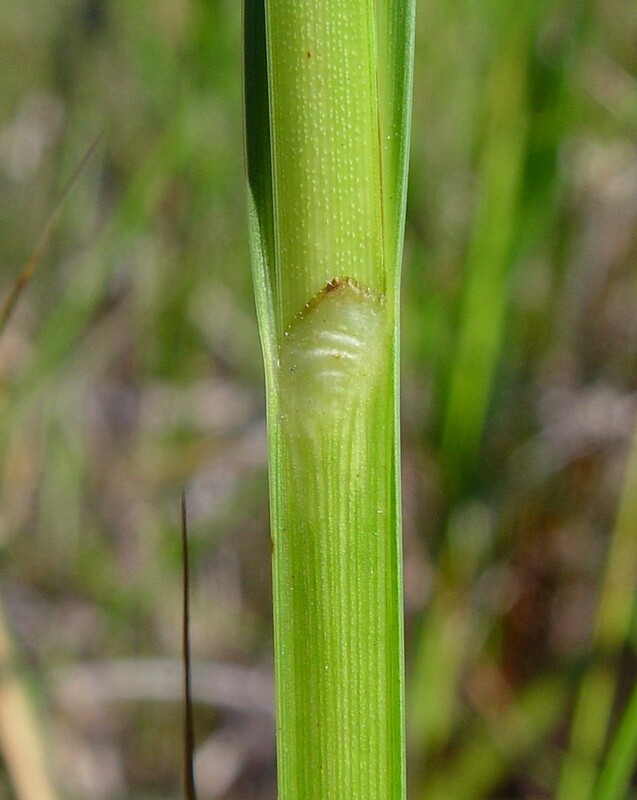 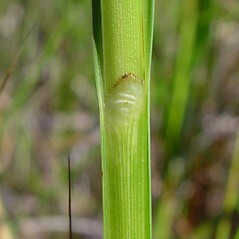 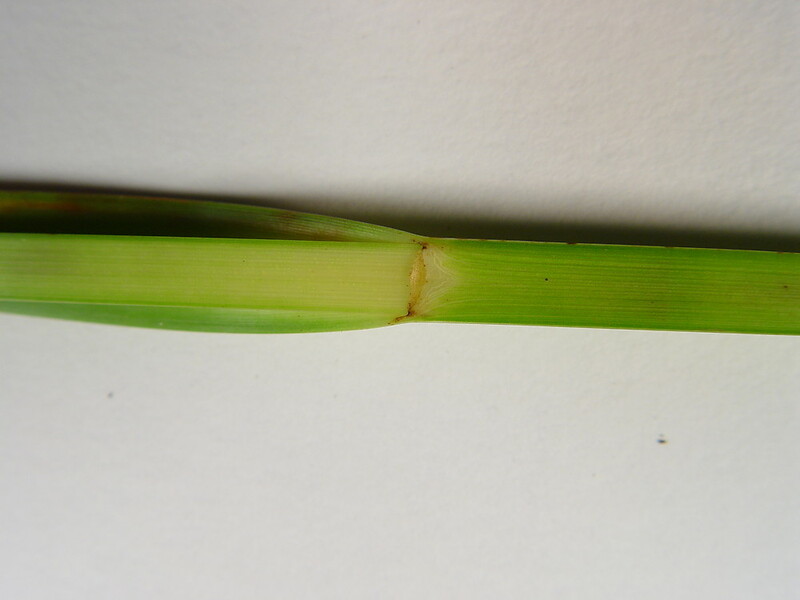 Strong; Scirpus maritimus L. var. 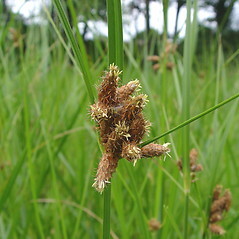 macrostachyus Michx. 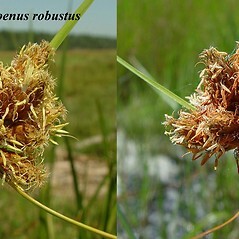 ; S. robustus Pursh • CT, MA, ME, NH, RI. 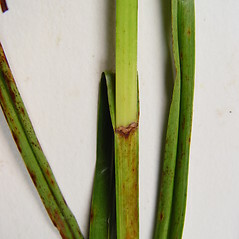 Brackish to saline coastal shorelines and marshes.